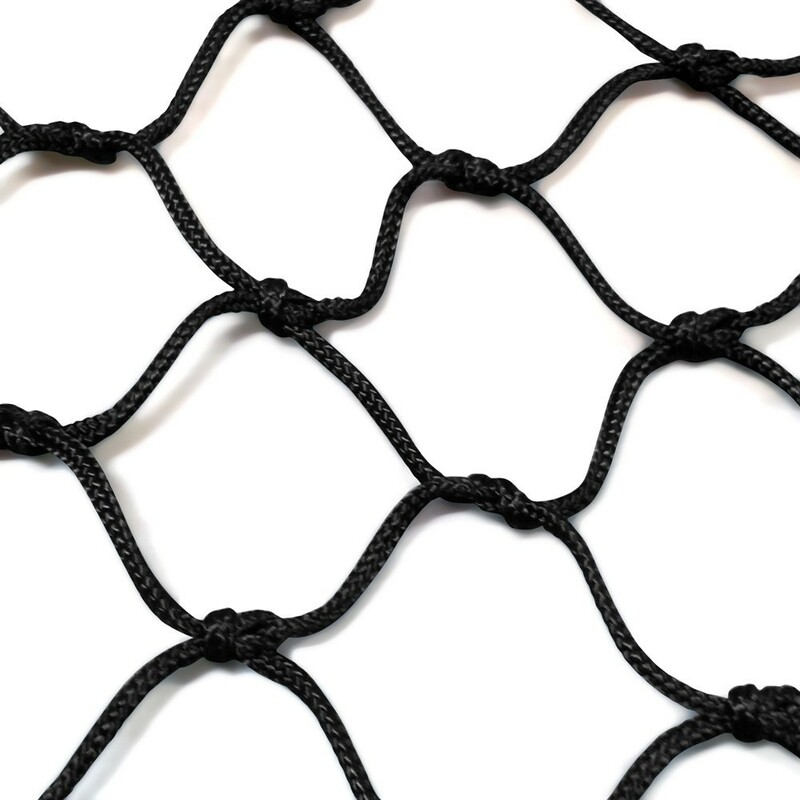 This black knotted netting with 60mm spacing is well suited to create taffrails such as lifeline nets. Its large meshes allow light to shine through and prevent large objects from falling. It is vert resistant however less comfortable than the braided netting: this is why we recommend using it in a suspended vertical position rather than horizontal. 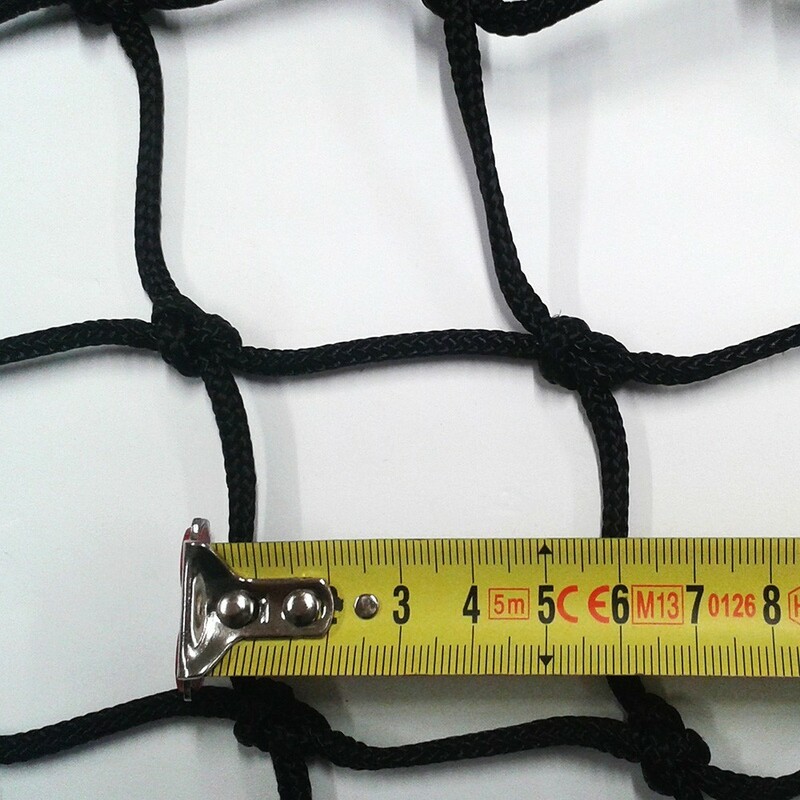 - 60 mm knotted netting. The knots bring an undeniable aesthetic asset... and are easily caught in case of a snag on the net. In addition, the 6cm spacing let the light in. -UV resistant polyamide. Like all our catamaran nets this model has been treated with a high-performance UV protection to resist important sun exposure and reverberations. Inevitable in the nautical environment. - Available in black. This netting is only available in black. - Made to measure from your dimensions. We manufacture your net based on your measurements and your plans, within a 3 to 4 week delay. We advise you to leave your trampoline in water for 24hours before installing it on to your catamaran.